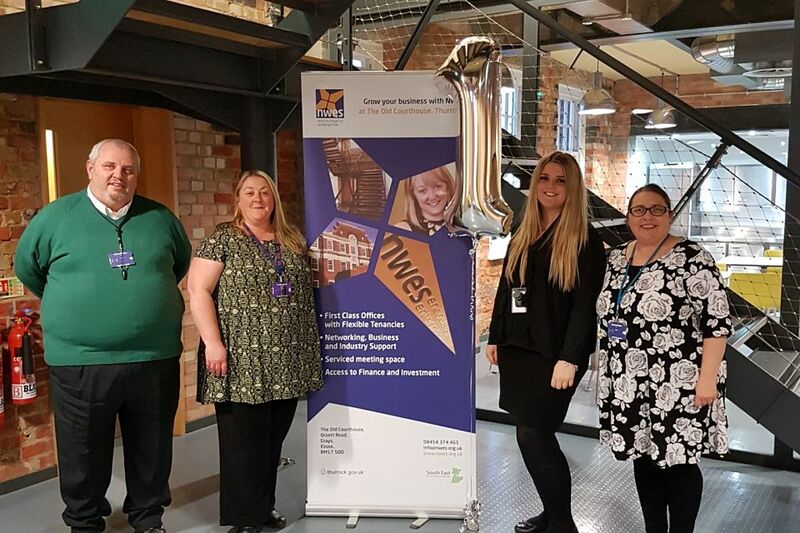 Enterprise agency, Nwes, is celebrating a successful first year at The Old Courthouse in the heart of Grays. In partnership with Thurrock Council and the South East Local Enterprise Partnership, The Old Courthouse was officially opened in early 2016. Standing proud at the top of Grays High Street, the last twelve months have seen it develop into a lively and vibrant business centre, and welcome many individuals and businesses through the doors. Offering exceptional and inspiring workspace with ‘easy in, easy out’ tenancies, The Old Courthouse is ideal for both start-up and growing businesses in the Thurrock area. Refurbished in an urban-chic style, The Old Courthouse also offers a high-specification break out space, a state-of-the-art kitchen, and an executive boardroom available for hire. With the recent addition of a coworking area, virtual office solutions and business advice and support, there is plenty on offer to give local businesses a boost and a platform for success. One such business to take advantage of the workspace and support offered by the centre is Dotty Hippo Design. Director, Louise Ince, was the very first tenant to move into the building, and her graphic design business has embraced all that The Old Courthouse offers. “We have been in The Old Courthouse for a year now and were excited to be the first tenants to move in.” Louise explains. “It’s great to have a well maintained office and premises, with helpful and friendly Nwes staff, which allows me to concentrate on my business and clients. It’s a unique building and is a great talking point for visitors who come to see us. We hold regular meetings every month in the meeting room, and it has provided an opportunity to meet with a wider range of businesses. Centre Coordinator at The Old Courthouse, Charlotte Williams explains. Charlotte also encourages new visitors to the centre. To find out more about The Old Courthouse, visit our workspace page.